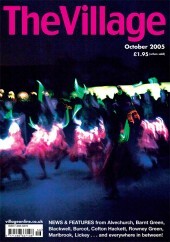 The cover of our October 2005 issue showed dancers and drummers at that year’s Alvechurch Alight festival. More pictures from the event appeared inside. The steering committee for the Barnt Green Parish Plan were thrilled with the interest in their Open Day, which saw more than 200 residents turn up to learn more. Meanwhile, our postbag was full of complaints about litter in the villages – and we also reported that a Burcot fundraiser was planning an inter-village “It’s A Knockout” tournament. * A group of students from South Bromsgrove High School undertook a canoeing expedition in Scotland as part of the Duke of Edinburgh Gold Award. 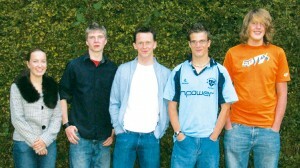 Supported by teacher Neil Dixon (above, centre), Carol Starkey, Tom Parker, John Dearden and Adam Heason co-ordinated and completed the challenge using their own initiative and enthusiasm. 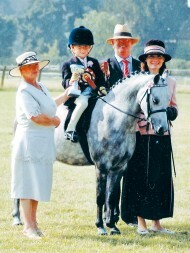 * Five-year-old Elliot Nott, of Blackwell, had cleaned up at the Midland Association of Riding Clubs’ Bromsgrove & District Championships, despite being too young to have full membership of a riding club.